The CKM Super Kid comprehensive program includes 8 Levels for the children (and 8 levels for the instructors). It is a 4 years program that gives the kids 2 levels each year. The progress in levels is rewarded to the child every 5 weeks with a special wrist band and a special t-shirt. Take the bootcamp as a parent to teach and bond with your kids or to become a Super Kid certified Instructor. You will get a complete yearly lesson manual and full support via the Super Kid University Online and the headquarter. Cruel behavior from a bully can steal away the happy years childhood should bring to a little boy or girl. The scars created from bullying can carry into adulthood and last for a lifetime. The CKM Super Kid program is a first system to give children the means to protect themselves against bullies with techniques that are School Friendly. No parent wants to see their child suspended from school due to fighting. The CKM Super Kid approach of minimum force with maximum results teaches children to effectively deal with bullies without negative repercussion! There are many types of Child Predators in this world, from strangers to someone your child may trust. Children can be a potential target if they don’t know the tell-tale signs. The CKM Super Kid program gives your child powerful knowledge and teaches them how to stop predators before it’s too late. Dynamic and Educational! Children will experience many potential real life scenarios so they can recognize and avoid potential lures by child predators. Children will also be taught how to engage and disengage as quickly as possible in order to escape to safety. Childhood obesity is a growing concern around the world. In a society filled with convenience and fast foods, many kids are building poor eating and exercise habits. Opting for French fries instead of veggies and computer games instead of outdoor sports, kids need to start developing healthier habits at an early age. Statistics show that childhood obesity is causing diabetes, liver problems, heart disease, stroke and many other illnesses at an earlier age. The CKM SUPER KID program teaches children to maintain proper health habits and feel the benefits immediately using creative obstacle courses, interactive games, reality based drills and challenging exercises. CKM SUPER KID curriculum will provide children with all the necessary tools to strengthen their physical and mental health while building leadership and social skills. Improving physical fitness and conditioning fosters feelings of more self-confident and positive views about themselves creating a winning attitude. A healthy body is a healthy mind. If you love kids and believe in making this world a safer place for children, this boot camp is for you! 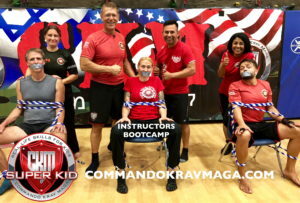 You can can take this boot camp (For men & women age 18 and up) to become a certified CKM Super Kid instructor or as a parent who wishes to become a mentor for your children. 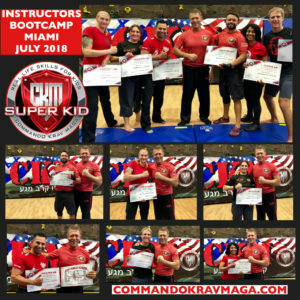 Learn the most complete foundation of CKM Super Kid concepts, tactics, and techniques while experiencing the rewards that come from learning to teach the most important lessons in the lives of children. Over the course of three. intense, 10 hour days get highly effective and easy to learn reality-based training. Enjoy CKM Super KID instructional videos in the comfort of your own home. Arrange a single day seminar for a focused CKM SUPER KID experience. 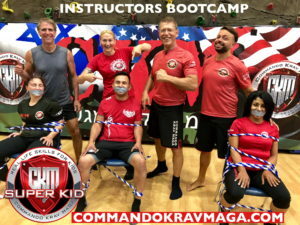 Connect with a certified CKM Super Kid instructor near you.